Interested? Fill out a volunteer application Here. 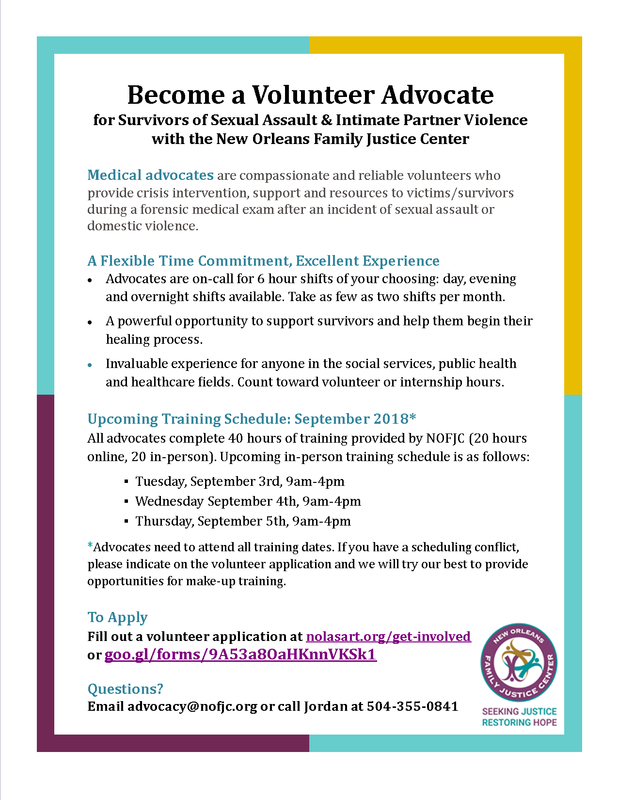 Email advocacy@nofjc.org with any additional questions. Thanks! The Forensic Program at University Medical Center is always in need of supplies for sexual assault patients. If you would like to donate items or schedule "Care Package Assembly Day" with your group or organization, please contact Amanda at the New Orleans Family Justice Center: atonkovich@nofjc.org. Thank you! · Non-perishable snacks including granola bars, tea/instant coffee, pudding, trail mix, snack cakes, nuts, ect.